Super Hardy lovers a hot sunny spot! perfect for summer! 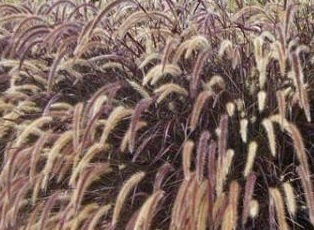 The Purple Fountain Grass is a popular perennial grass renowned for its burgundy coloured foliage. The long, narrow, arching leaves grow quickly to form a weeping clump of striking burgundy/purple foliage. The feathery plumes are also a key feature - sitting above the main body of the foliage. The effect of these moving in the wind is soft and beautiful. This is the ideal plant for gardeners that wish to add some colour, texture and movement to their landscape. Also available in Compact, which has a lovely green coloured foliage.